Yesterday's game was a nasty street fight. Our team did not quit like what often happened during Riley era, nor melt downs against Wisky or Ohio when Bo is the head coach. This team will fight to the last second against any team in the nation now. It illustrates how good our football program's culture today. It also shows the bright future of this team moving forward. Our D and Special team played arguably the best game of the year. Antonio Reed saved his best game for his last show at the stadium. He forced 2 fumbles and registered 1 INT at 1 yard line. In additional to that, he had several TFLs. Pickering is 3/3 on FG, breaking his own longest filed goal record not only once but twice in the game. It seems Foltz and MSU's Sadler were there to make the game a kicker's game. What a season!! We had so much pain at the beginning to watch the team going through culture changes. We had several heart broken games that we came so close. The season really built the characters of the team. 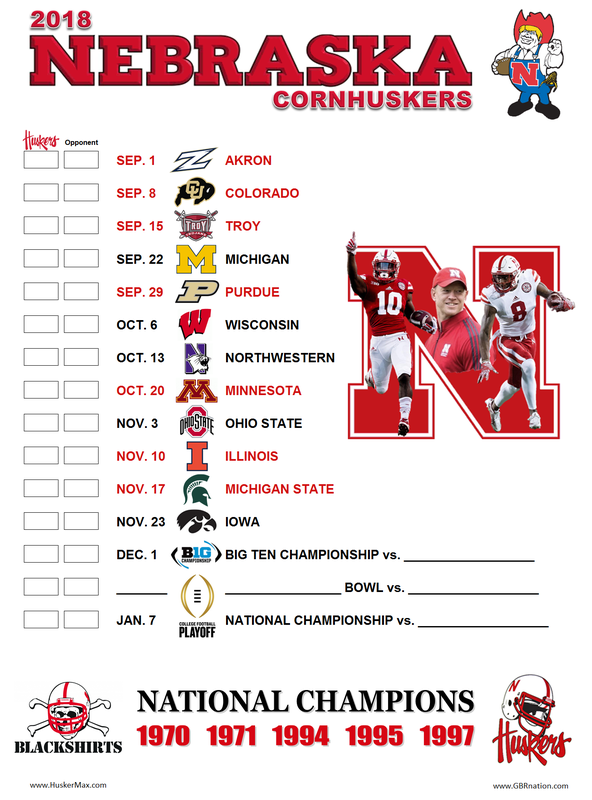 It is hard to believe we have only 6 days left for 2018 Huskers football. One of the last two Black Friday games until a while later!!!! Our team travel to Iowa to close the season. The Huskers want to win the game to build momentum for recruiting and next year. Some of the 4th year seniors on the team never had win against Iowa. We have not had a road win this season. It is a perfect time to make the statement. Game time is 11AM. We will have all our 4 locations.